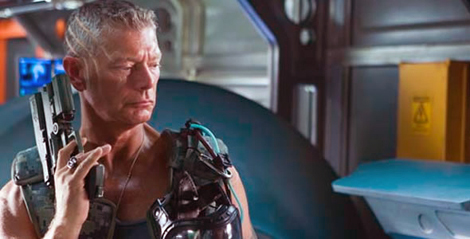 London: Stephen Lang, a.k.a. the worst thing in Avatar (which is saying something), is doing the publicity rounds in London this weekend promoting the upcoming DVD and Blu-ray release of Avatar. Readers are warned to stay away from the London Film Museum (a.k.a. the lamest place on Earth) and HMV Oxford Street (a.k.a. Mecca) in order to avoid exposure to the most one-dimensional character in recent film history.